A source reveals that Meek is going to wait until the two break up before making a move on the ‘Anaconda’ hitmaker. “He was surprised when they first hooked up and he is more shocked now that they have stayed together as long as they have been,” the source goes on explaining to HollywoodLife.com. The source adds that despite confirming their split in January 2017, Meek can’t keep Nicki off his mind. 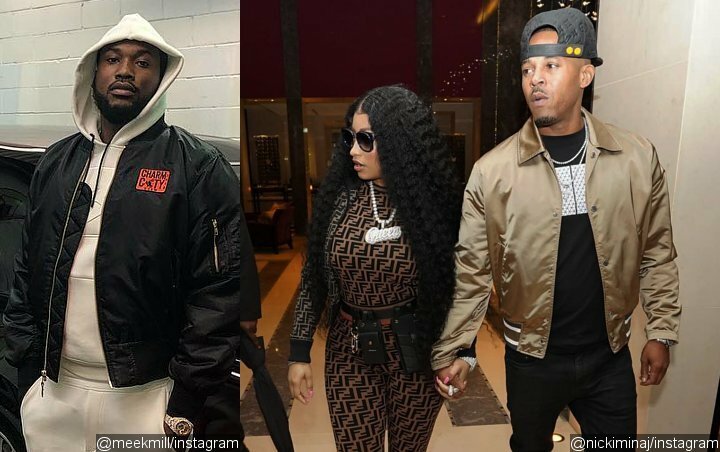 The rapper allegedly thinks that Nicki deserves someone better than Kenneth, who is a sexual assault convict. “Meek is shocked that Nicki is still with Kenneth because he thinks she deserves better than guys from her neighborhood like Kenneth. Meek feels Nicki is going through a phase with this guy from her past,” explains the source.